Cars: I think about everything in terms of automobiles. I'm a car nut. I hang around with a bunch of fellow car nuts and gearheads. Except for the categorical Objects of our Obsession, we are no different that sports nuts, quilting enthusiasts, collectors of beer cans and train hobbyists. I am not a famous car guy. I have never worked in the automobile industry, although I've had some contact with Detroit car companies through employers. I am not a professional racer. My earliest memory is of me staring at the chrome hubcap on the sidemount of a Packard (with the characteristic red hexagon in the center) while being held by my mother. I was two years-old. She was keeping me entertained by showing me my reflection in the chrome while at a graveside service for one of her uncles. (The Packard was probably a limousine or hearse.) Perhaps this explains my lifelong fascination with cars. I started drawing cars when I was four. I first drove a car when I was thirteen. I've owned cool cars. And awful ones. And ordinary, everyday ones, too. 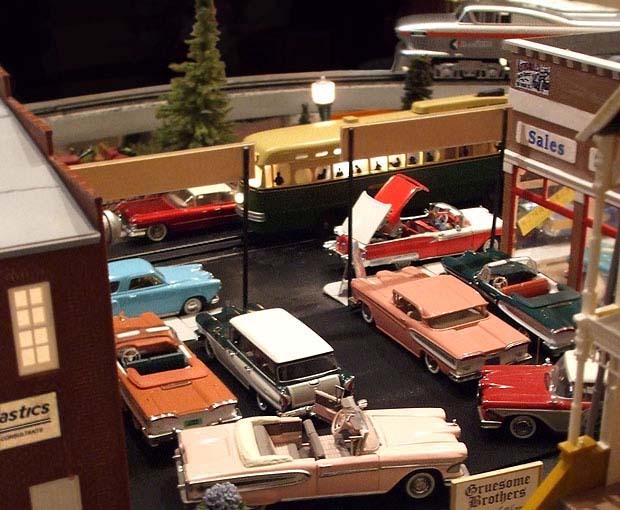 Over the years, I've owned several old cars; I'm now down to one - not counting the model cars on my O-gauge train layout. 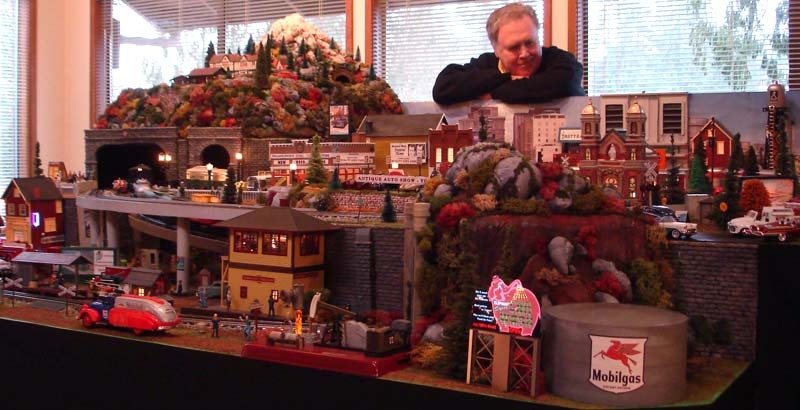 Yes, I do have a layout, running Lionel-sized trains. It goes up once a year for a few months around Christmas time. Opinions: I've been opinionated since I was four or five. And never afraid to voice mine. (At first, my parents thought that was cute. Later ... very annoying.) I've been interested in politics since high school; the first Presidential election I followed was 1960. I watched the Kennedy-Nixon debate on television and, on election night, sat in front of the set with a piece of graph paper, plotting the returns as they came in and trying to extrapolate and project a winner. I describe my politics as Pragmatic - somewhat Libertarian mixed with a substantial dose of social and fiscal Conservatism. I used to consider myself Centrist. Until the Center shifted. Work: I have a Mechanical Engineering degree and was employed in both the rubber and plastics industries. I began my post-college career at Uniroyal as a Development Engineer in Philadelphia, PA. My last corporate stint was at Rohm & Haas Co. from 1966 to 1978. A business partner and I owned and operated a plastics manufacturing company in Oregon from 1978 through 1989. We started with only three employees in a small storefront building. Within five years, our business was in the upper quartile of its peers for both net profit before taxes and return on total investment. When we sold it, the company had become the largest fabricator of acrylic displays in North America. After the sale, I began a new career as an independent management consultant, focusing on mid-sized, growing companies and using my own experiences to guide them on paths to improved performance and profitability. I retired in 2011. Writing: Over the years, I've had articles published in numerous magazines - business, technical and automotive. 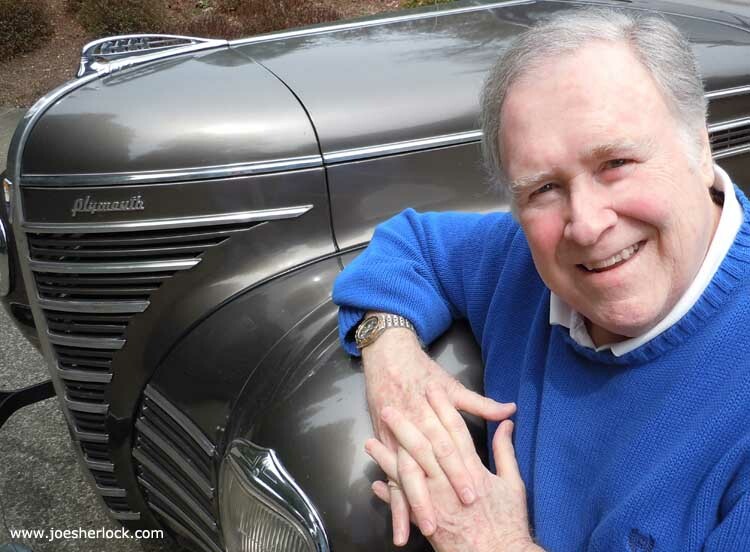 I'm a three-time winner of the Golden Quill Award - for writing and publishing - from Old Cars Weekly. For eight years, I wrote a newspaper column, Doin' Business. I have authored or co-authored a total of seven books and contributed to several others. The View Through The Windshield blog was started in 2004. You can read an overview of it here. Life: I'm happily married - once only, since 1966 - to the love of my life and have two wonderful grown children. I live in the Pacific Northwest (Southwest Washington), although I spent the first 35 years of my life in the Philadelphia area. I am also a cancer survivor. Essays/Musings/Rants: You'll find them here.